The program will feature fifteen courses, four workshops designed for children and teens, and six conversations, bringing together experts across the disciplines of art, science, history and technology. In addition, there will be three exhibitions, free and open to the public. Each class can be taken alone or in any order. The classes are offered multiple times throughout the two and a half week residency. The classes are between 2-4 hours, led by 2-4 teachers with a maximum of 12 students. Class size is limited to ensure an intimate experience, and prices for the classes range from $125-$250. Workshops invite young audiences to discover the art of jewelry through a series of four creative workshops specifically designed for children and teens ages 5-16. Each workshop is 2 hours long with a cost of $15. 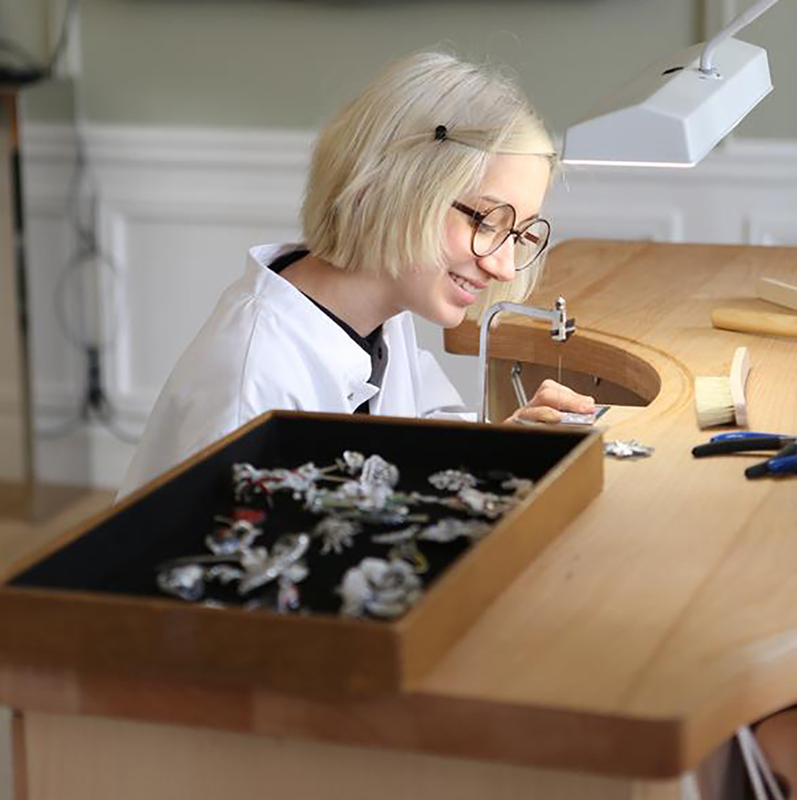 L’ÉCOLE has organized six conversations that provide insight into the world of jewelry. Each talk brings together at least two experts who engage in a dialogue exploring the jewelry arts from a variety of perspectives. These events commence with a cocktail reception to welcome attendees and are $25. There will be three exhibitions, free and open to the public, focusing on the many facets of jewelry arts. They will be Cuffs and Necks, Art in the form of sculptural works by Daniel Brush ~ Through the eyes of a Connoisseur, Connoisseurship marked by an exclusive viewing of a local private jewelry collection ~ and The Fabulous Destiny of Tavernier’s Diamonds, Science and history in a display of replicas of 20 exceptional diamonds sold in the 17th century to the French King Louis XIV. Docents will be present at all times to offer tours. L’ÉCOLE will take place from October 24 to November 9, 2018, located at 2 East 63rd Street, NYC. Registration for the events can be found at L’ÉCOLE School of Jewelry Arts. It will be open daily from 10am to 6pm. 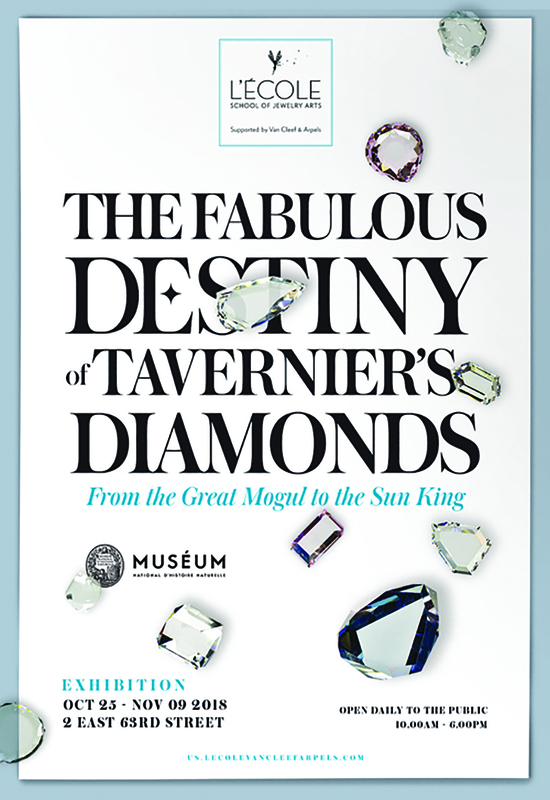 A complimentary catalogue, written by jewelry historians, researchers and other experts, is also available at the entrance of each exhibition.